Shonda Rhimes' new drama in at ABC On the drama side, and have all scored additional seasons. On the alternative side, and 20/20 have all been renewed. The news comes on the heels of ABC ordering six dramasthree comediesForever, Resurrection and Cristela, which were canceled. 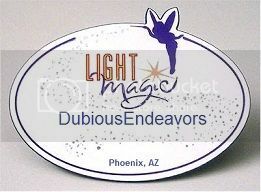 The Few, The Proud, The Fans Fan of Light Magic! Good to hear AoS got renewed, even if it seems to be getting bogged down in becoming an extended trailer for Inhumans. Can't say I'm surprised they canned its spin off though, Hunter and Bobby are good in the show but I don't think a series with them would work. As for Agent Carter... it must be good if they've renewed it. Maybe a UK broadcaster will finally pick it up now. Trailer for Uncle Buck https://youtu.be/tV5vcs-6ZMw The Muppets https://youtu.be/m-ZjakLTB_8 Sorry I still can't get the embed feature to work. Mods is it broken? Last edited by Hathaway Browne; 05-13-2015, 07:53 AM.